Thermoset polymers don’t melt when heated. They “set” into a given shape when first made and afterwards do not flow or melt, but rather decompose upon heating. They are often highly cross-linked polymers , with properties similar to those of network covalent solids -i.e, hard and strong. 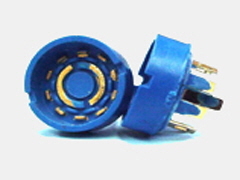 Thermoset molding offers high mechanical strength, wide usable temperature range and unique dielectric properties. Since this family of materials does not shrink significantly during the molding process, part geometry can include large cross-sectional areas without causing warpage and sink problems as occurs in thermoplastic molding. 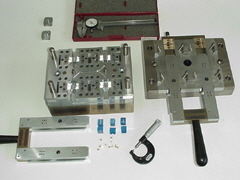 The design of thermoset molds becomes much simpler as the venting, cooling and heating requirements are substantially less than thermoplastic molds. This simplicity greatly reduces costs. Thermoset materials cure much slower than thermoplastic materials. This results in higher unit cost on average compared to thermoplastic parts. Thermoset molding can be used for applications requiring a wide temperature range, high mechanical strength and low to medium production quantities. 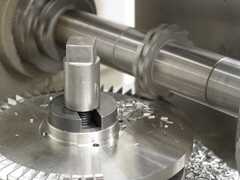 It can also provide a more cost effective alternative to machined parts.